You know? I noticed our rose bush today and decided to try out a new lens on the thing. There are no roses blooming on it at this point, however, I noticed something intrigueing. 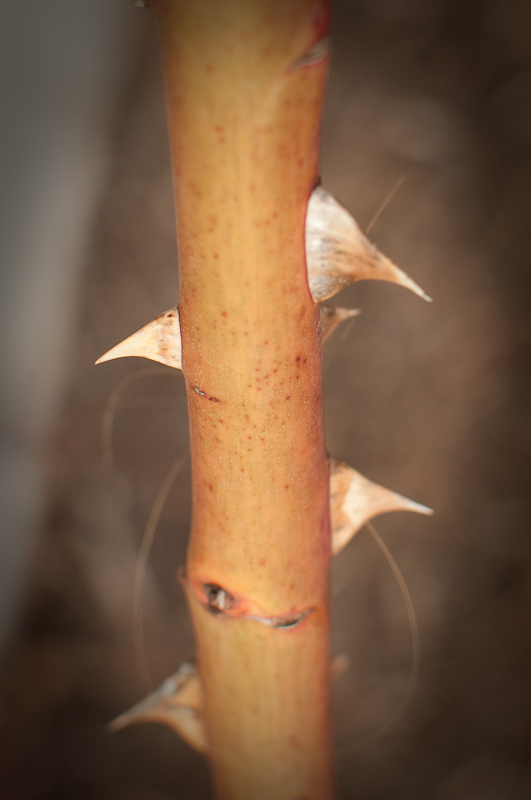 The thorns on this thing compare to baby shark teeth! And when I tried to move the vine for a better angle on it, I got bit! I wonder if it is so the deer won’t eat them and we can enjoy them a little longer? Do women want roses because they know the guys bleed when they pick them? Well that will give me something to Google this evening I suppose. Plant protection mechanisms. Cures for Rose Bites, etc. 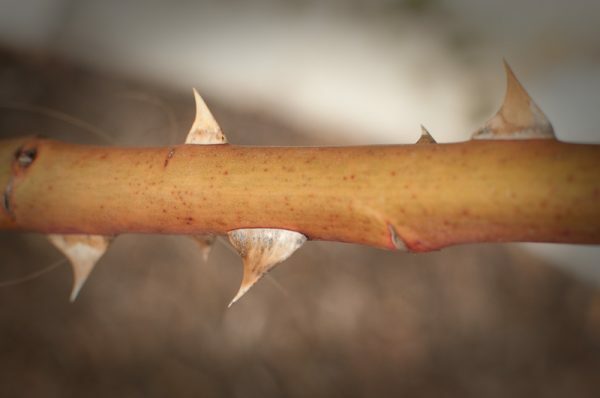 Thorns are good for many things. However around here the deer think that roses including the stems and thorns are like the cherry on top of their dessert! Music began playing any time I opened this web page, so annoying! Lovely pictures. Do you have any personal experience with sharks teeth? No music is configured to play on this page. Not sure where its coming from.